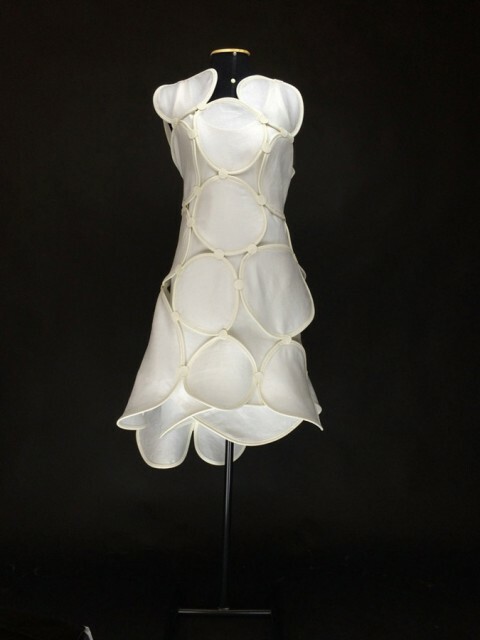 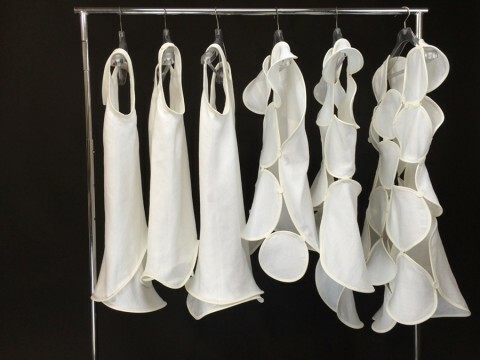 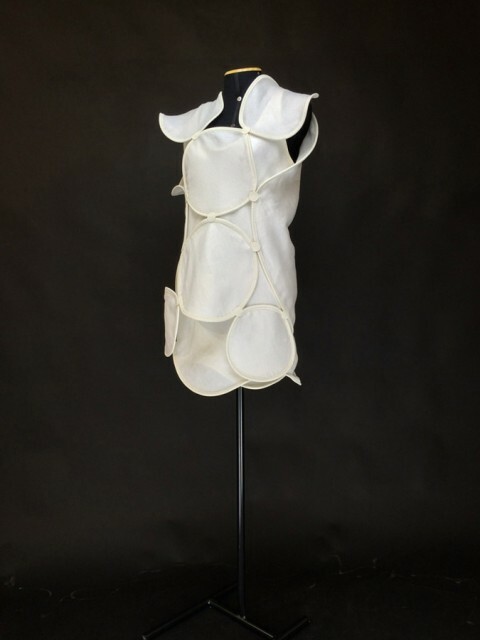 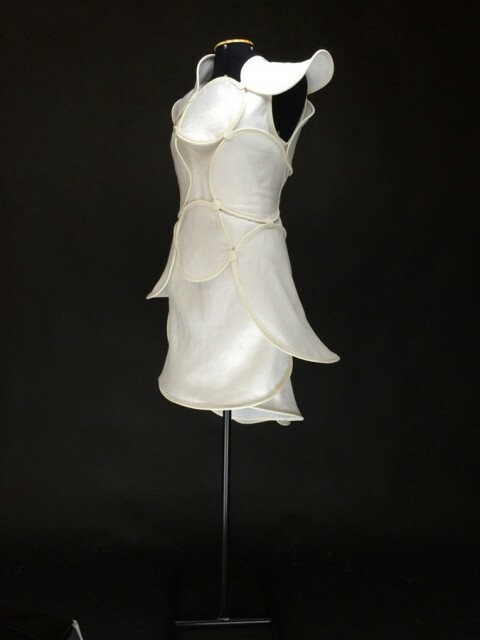 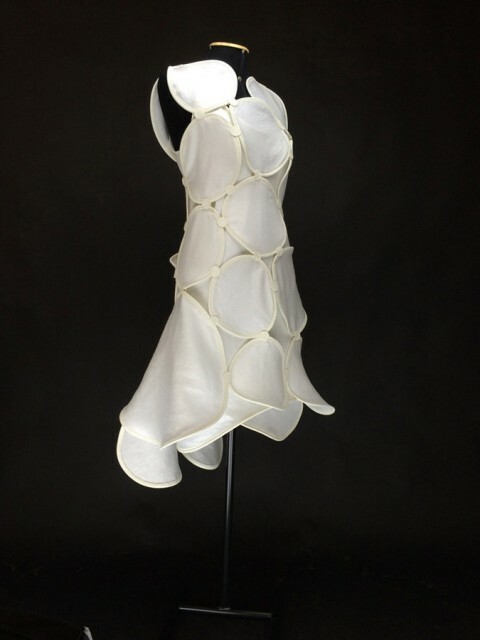 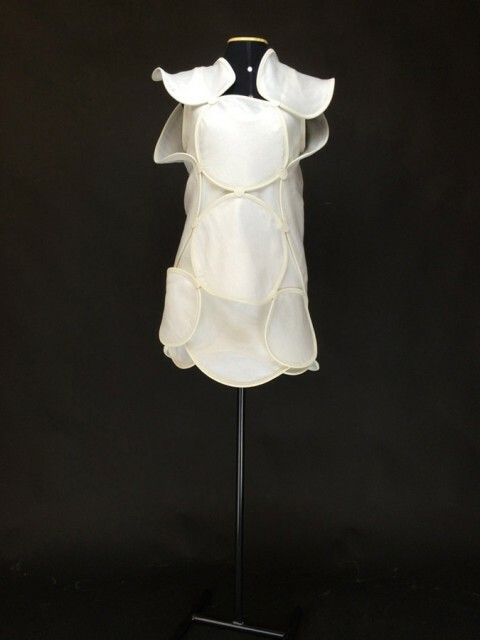 3D frames millennial fabric to create a interconnected structure in dress shape. 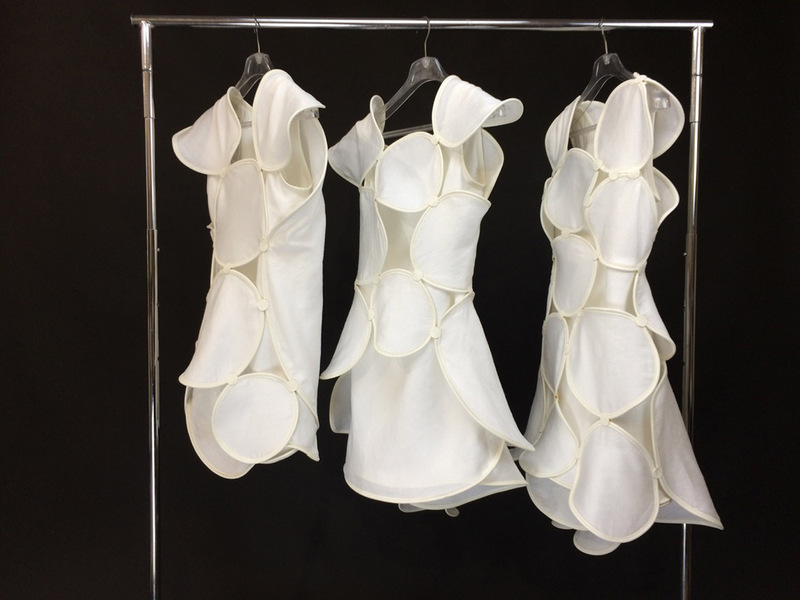 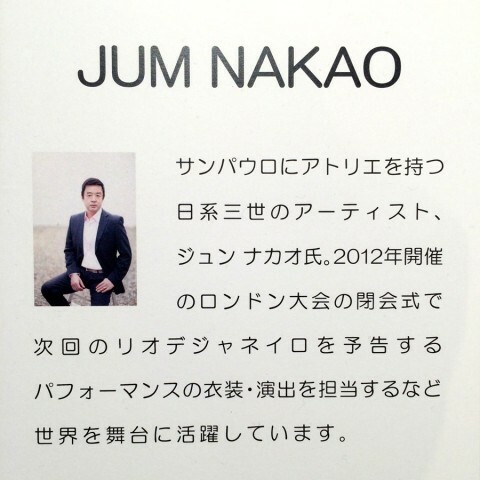 In celebration of 120 years of Japan-Brazil Friendship, and re-launch of a millennial fabric, Majotae, Jum Nakao is invited by Isetan Mitsukoshi-Group to create three dresses. 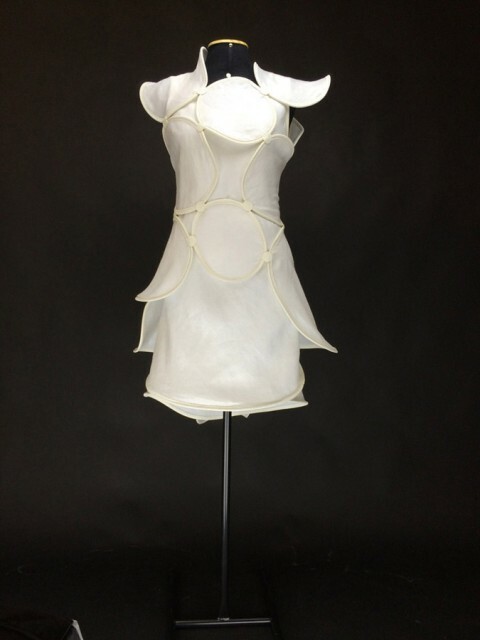 around the body creating a dress shape structure.